I published a blog post last week on DataXstream’s Agile Kanban Delivery Methodology for OMS+. In that blog post I mentioned our speed of delivery is challenging our ability to keep up with effectively marketing our solution. In an attempt to keep up with marketing a solution leveraging a continuous delivery approach I am going to start blogging on specific features and problems we solve with OMS+ as we release these features. I have a lot of ground to cover and will not run out of material anytime soon. I decided to start with a challenge / problem I have personally had to deal with over the last 20 year using SAP. Often it can be challenging to find the materials / products you are looking for in SAP. OMS+ makes finding the right products and adding them to customer inquiries, quotes, and orders simple. 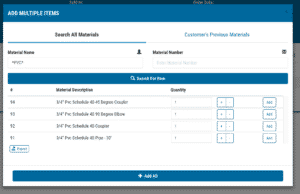 OMS+ offers functionality that allows you to look up materials / products quickly and see details inside and outside of the order. For those of you who have used SAP search help you will understand that it takes some working with it to use it effectively. As a developer I often cheat and go straight to the table to find the specific things I am looking for. Most people don’t have access to go look at the raw table data. So you need to refine your SAP search help skills. OMS+ approaches looking for materials very differently. There are a number of places you can go to look up materials/products/articles/items (So many different names for the same thing). You can search for specific items and see a detailed overview from our products menu in our side bar. 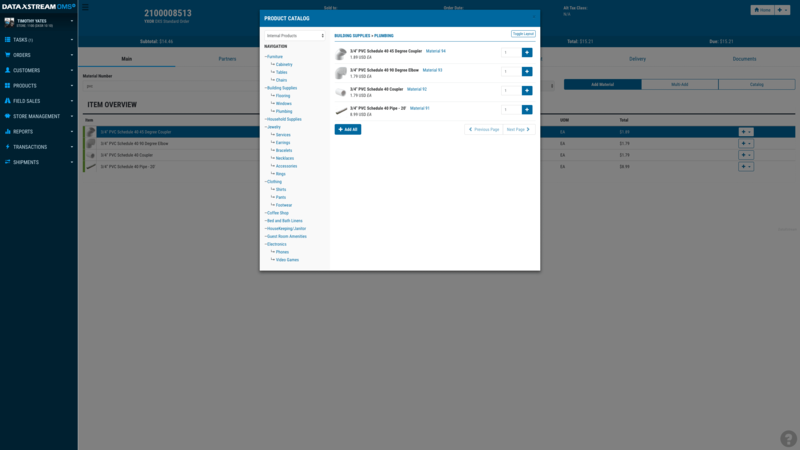 This uses a basic search modal and does a fuzzy logic search on material description. If you are researching options for a customer and need to look at similar products, or items within a product family, or you need to look up a product based on its specific characteristic you can use our material look up quick search functionality. 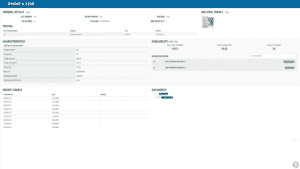 OMS+ lets you look for SAP materials/articles quickly that are similar and displays them in a consolidated view with UOM, pricing and availability data. 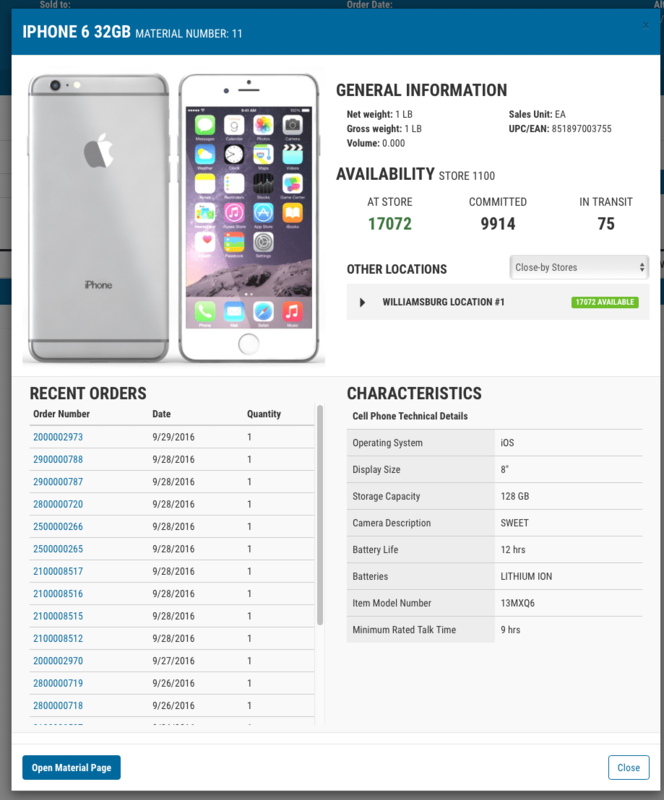 If you find the items your customer is looking for you can add them to a cart which can be used to start a new inquiry, quote, or order. 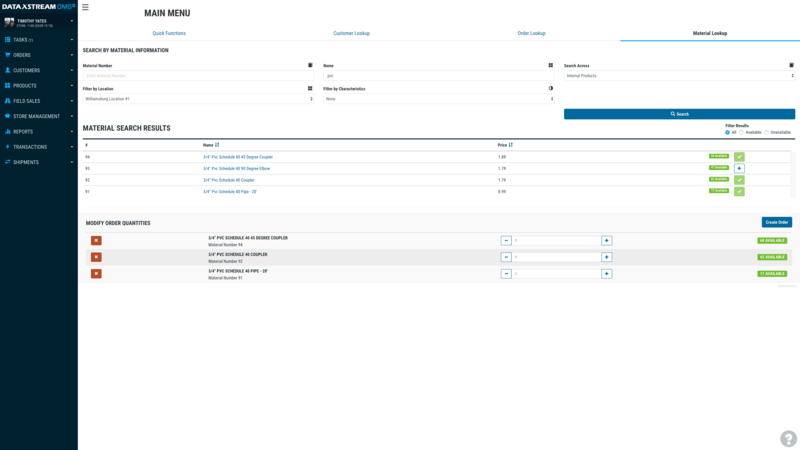 This view includes many other capabilities including searching internal, external (local), and external (remote) catalogs. You can also restrict your search on specific characteristics to narrow in on color, size, or any other characteristic you assign to your materials. Filters allow you to narrow your results to items only in stock. 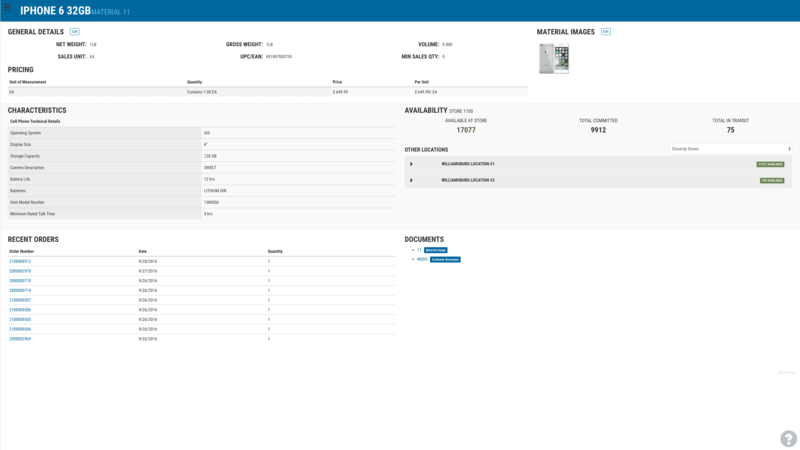 You can also change the scope of your inventory search from the location your are at, to ones nearby, source warehouses, or across all locations within the company. You can look at the details of that item from within the order by clicking on the item to pull up the details view. 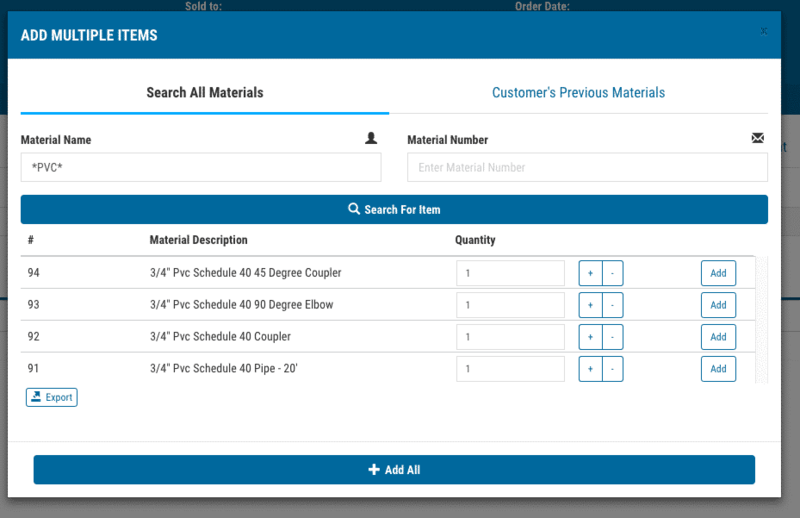 OMS+ lets you focus on finding the SAP materials your customer needs and streamlines your customer service experience. Find SAP materials/articles quickly with DataXstream’s OMS+. 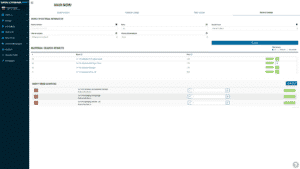 OMS+ Simple Order Management For SAP. Check out my post on finding customers in SAP. 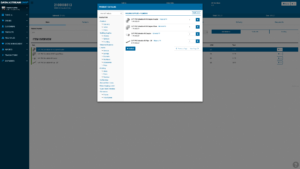 Learn more about OMS+ request a demo.